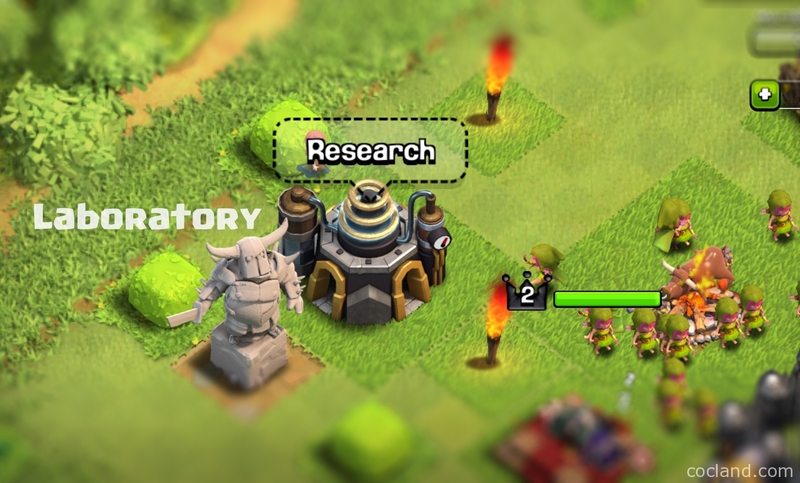 In Clash of Clans, Laboratory is one of the most secret place that no one want visit. You shouldn’t too. All we know about it is the Alchemists of this Laboratory had a lot of secret and powerful receipt which make our troops be much faster and stronger. 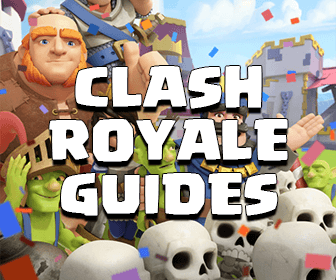 The Laboratory is the only one place in Clash of Clans which can help you upgrade your Troops and Spells. You can unlock it from Town Hall 3. The Laboratory requires Elixir and Dark Elixir for researching. If you upgrade your Laboratory while it is doing a research, the research will still keep going. Once you research anything in Laboratory, you can’t cancel it. You have to wait until the research is complete to upgrade another one. While doing research, the Laboratory emits a purple light at level 1-6, blue light at level 7 and red light at level 8. You don’t have to use Builder if you want to do a research. You need to unlock a troop/spell first If you want to upgrade it. You can’t upgrade your Heroes via Laboratory. The top of the level 7 Laboratory looks like from level 7 Hidden Tesla. Level 7 Laboratory has 2 tubes which had Dark Elixir inside. 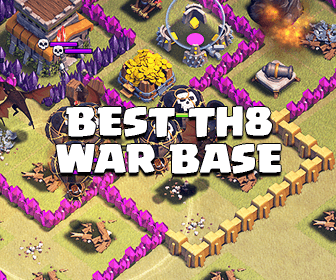 There are only two buildings in Clash of Clans that can be upgraded at every level from TH3-10, they are Mortar and Laboratory. Two tables below will show you everything about researching in Laboratory. 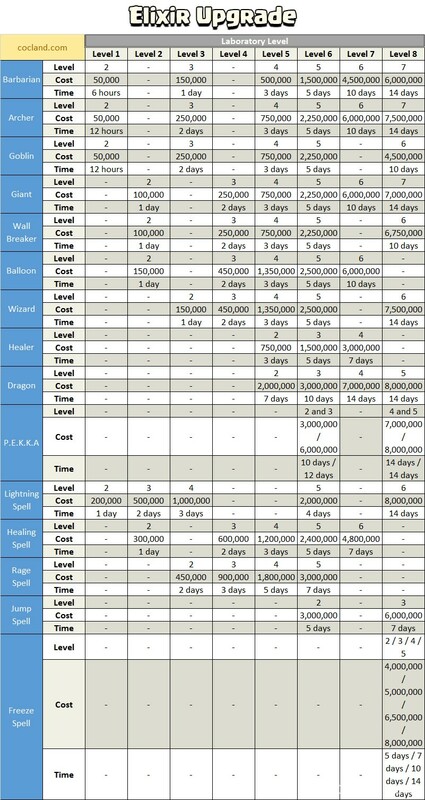 Because the Elixir table is too big so I post it here as an image. You can save it via right-click If It is too small for you to see. You can also download the PDF version of the Elixir table at here. I hope you can find everything you need in this Laboratory guide. If you have any question, just ask!